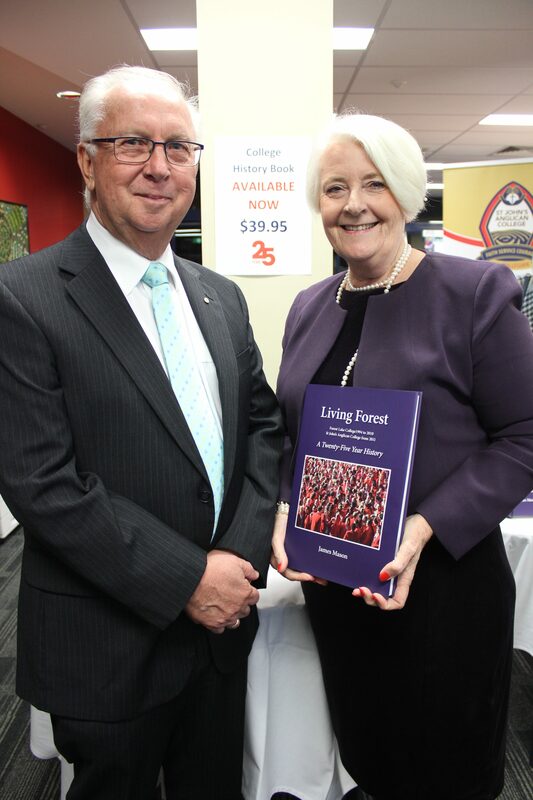 The St John’s community gathered together to celebrate the college’s 25th Year Anniversary and to launch the Living Forest History Book last night at the annual Community Cocktails event! It was a memorable evening to mark the milestone occasion of the College reaching 25 Years. We were delighted to also host on this evening a 25 Year Community Concert featuring Jazz Musician and all round entertainer, James Morrison. Staff, students, jazz lovers and the community had an amazing evening and topping off the nights performances with a commissioned piece from Sean O’Boyle Am titles “Where We Belong”. Lyrics by Russell Morgan and conducted by Neill Thacker.